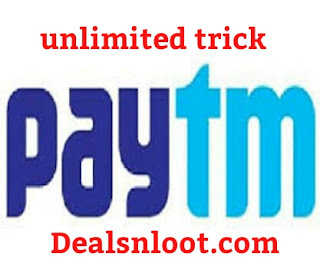 Hey Dealsnloot Readers,Paytm Loot - Trick to use NEW50 promo code in Old account, Hurry up this Exclusive Trick to use and Get Rs 50 Cashback on Rs 50 Recharge in Old account, You can Pay with Paytm wallet also, Previously we updated how to loot paytm NEW50 coupon code to earn unlimited paytm cash . But that offer is for new user only . but we found an another trick using which you can loot paytm's new_user_welcome gift NEW50 Coupon code from your old paytm account.Grab This Loot Offer and Earn Unlimited Paytm Cash. Note :- This Trick is Working only on Paytm Desktop Version for Sign up Process and NEW50 promo code work on Paytm App. 2) Now Click on “Login/Signup“. 3) Click on Sign up and Enter your Old Paytm account Number which you Not used from Last 1 month and set password which you want to Set. (Dont use this if you have Money in account because after doing your all history & money get erased and you get New Account. Warning :- This Trick Might Not work for all who used NEW50 coupon Previously on Same Number and Recharge can’t be Possible on other Number. 4) That’s it Account get Successful created on your old Number. 5) Note:- May be you face different issue. So click on “I did Not” and then Create New account using Old Number. 6) Now Initiate a Recharge of Rs 50 or above. 8) And complete your transaction using Paytm Wallet/ debit / credit card only..
9) You will get the Rs 50 Cashback in your paytm wallet instantly. 10) Now Repeated this Process again & again with your Old Paytm Registered Number with the Help Bluestacks, Root Mobile etc. 1) Promo code:- NEW50 valid in Paytm App only. 2) NEW50 valid on 1 time per device. 3) Trick might get blocked anytime So use it Fast as soon as Possible. 4) Use Bluestacks, Root Mobile to get unlimited. 5) wait for 1 hr to receive cash back. Note - GET RS.50 FREE IN PAYTM WALLET(OLD USERS) - Not Tested But it was working Last Time.Also Don't Use This Trick With Your Main Paytm Account. Now Sing out and create a new account on paytm with new details . Transfer That Rs 50 cashback to this newly made account [Using Old Number] ( Use paytm wallet for transferring paytm cash from one account to other ) . Now again make a recharge of Rs 50 using the code given above . make final payment via paytm wallet . For this you will get cash back again . Not working. It says that the mobile no. Is alreasy registered.